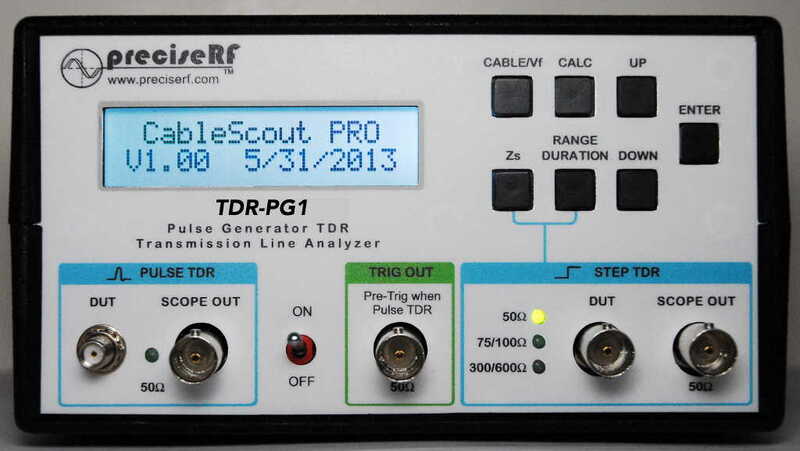 Aurora, Oregon November 1, 2013 Our popular TDR pulse generator, formerly referred to as “TDR-CableScout” has been updated with new nomenclature to “PreciseRF TDR-PG1“. This change was done to avoid confusion with another product called “CABLESCOUT” from a different manufacturer not affiliated with PreciseRF. 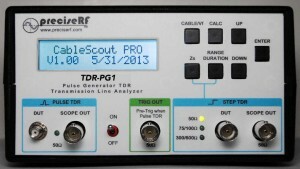 There is no change in performance to the PreciseRF TDR-PG1 and PreciseRF TDR-PG1 Pro. Owners of the existing products need not do anything. Inventory, manufacturing, and marketing material will be updated accordingly. what is the price of this unit? I saw this at the Hamvention – just wish you had one there available for purchase. Can you please send me the spec sheet and current pricing (the $495 as I recall would be nice). You’ll really like the TDR-PG1 (I got the last one they had at the booth at Dayton! ).